How do I know that a credit card taken in SWRemote was processed successfully? 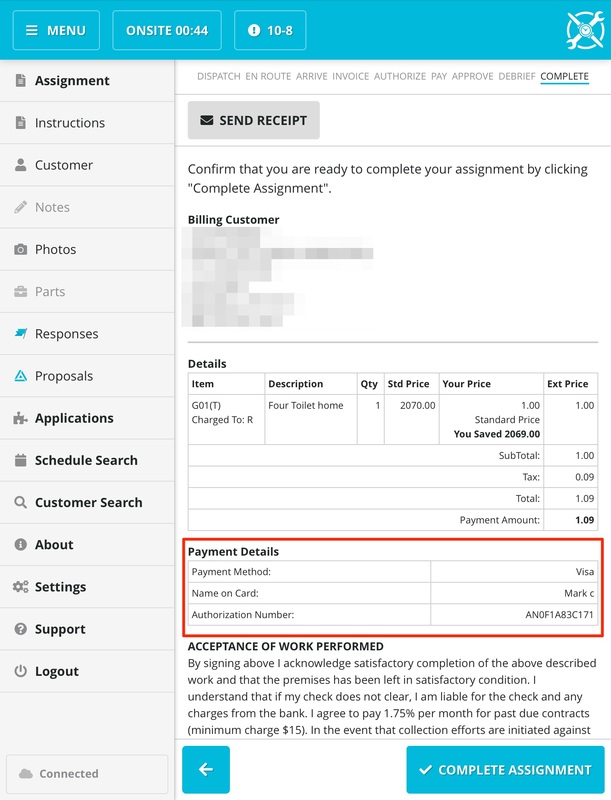 Open the Applied Payments button in the invoice in SuccessWare21 and look for the Authorizations. A credit card payment that was successfully charged using Mobile Technician will have both a Payment Pre-Authorization and a Payment Authorization filled in. Note: These authorization numbers are sent over from SWRemote when the technician closes the job. If the job is still open on the device, these authorizations will not be filled in.